What is Wealth Samadhan Card? a. Wealth Samadhan Card is a medium to store as well as access investment information by the subscriber at any point of time. In case of any eventualities, the family person or any close relative whose contact number shared by subscriber may access the investment information after proper KYC about the right to access to information. b. The Subscriber is not required to share any financial document as well as neither the amount of investment in any financial instrument or assets with Share Samadhan. How does Wealth Samadhan Card service different than eLocker? a. eLocker is an online document storage facility to store all valuable documents at one central secure location. Wealth Samadhan Card is just providing a platform to share investment information without any physical document hence ensuring the confidentiality of the subscriber’s financial information. Who needs Wealth Samadhan Card? 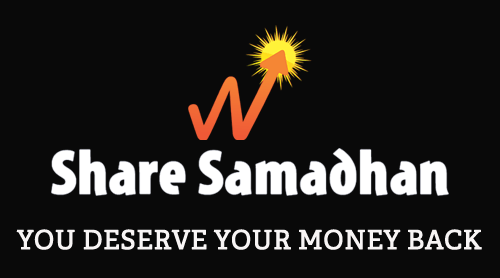 Will Share Samadhan service help me settle my claims on Investment? b.Once Share Samadhan is being engaged to recover the wealth at certain fees then the required formalities will be prepared and executed by Share Samadhan. How does the family member / close relative or friend connect to Share Samadhan in case of need? a. They may approach Share Samadhan with the Wealth Samadhan Card issued to the subscriber and produce sufficient evidence of the reason of subscriber not able to withdraw the investment. Share Samadhan will then share all the investment information with the family member. b.They may approach Share Samadhan with the card issued to the subscriber and produce sufficient evidence that he/she is the legal heir of subscriberor close relative / friend whose name was shared by the subscriber with Share Samadhan. Is it Safe&secure to use Share Samadhan portal to store my personal information? What happens in case I lost the card issued by Share Samadhan? What happens in case the member had not updated the name of the organisation or company where he had invested the money, whether Share Samadhan can help in that case? a. Yes, Share Samadhan will seek documents available with the family member of the subscriber and will try connecting with relevant authorities to get information about the investment made by the subscriber. Who will bear the cost of lawyer for succession certificate, if required? a. Cost of lawyer is being borne by the investor / legal heir of the investor or subscriber. In case I reside out of Delhi, how will Share Samadhan assist in recovering my investment? a. For the services like all the financial instrument recovery and the execution work will be done from centralized office of Share Samadhan. In case Share Samadhan takes the mandate to recover your investment then we will travel, if required. Can Share Samadhan help me getting duplicate Pan Card issued incase I lost it? a. This is part of KYC compliance required by most of the authorities to have PAN card. In case you lost PAN card then one can apply for duplicate PAN card. Share Samadhan will assist in getting the PAN card at the cost of the client in case it takes the mandate to recover you investment. What happens in case Share Samadhan can’t execute the workwhereinI paid the advance fee? a. In case where mandate is not executable because of no fault of the client then we refund the advance paid by the subscriber. Whether I can get the refund of registration fees for getting Share Samadhan Card aftersome time if I do not wish to avail the services of ShareSamadhan? a. No, the registration fees can only be set off against the fees payable by the subscriber for any service availed from Share Samadhan for recovery of the investment. So no refund option is available. Whether Share Samadhan will help me in drafting the WILL? a. If execution of WILL is required, Share Samadhan will assist you for the same, to make it hassle free. Will Share Samadhan share the information about my investment to person(s) holding Wealth Samadhan Card? a. No, till the time the subscriber is alive. b. In case of any eventualities to the subscriber then Share Samadhan would share the information after KYC compliance. What is Know Your Wealth Service? 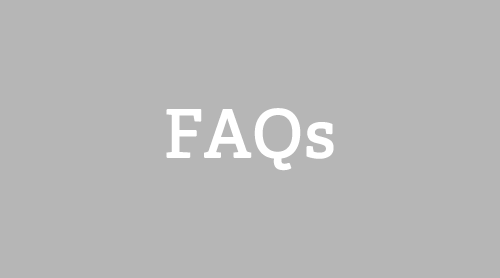 What is the annual fees to be paid by the subscriber? a. The annual fees will be communicated by Share Samadhan from time to time. What is the bare minimum information can be shared in the portal which also ensure confidentiality? 1. You can just mention name of the employer wherever you worked and your PF got deducted. 1. Just mentioned the name of the insurance company and the policy. 2. For example a. LIC, Jeevan beema b. ICICI prudential , smart kid policy c. HDFC Life, Term Plan etc. 1. Just mention the Name of the bank and branch. 2. For example a. ICICI bank, Nariman point branch, Mumbai b. HDFC bank, SaritaVihar branch, Delhi. 1. Mention the Name of the scheme and address of the post office. 2. For example a. Kisanvikaspatra, Fancy bazar post office, Guwahati Assam b. PPF account with tonk road post office, Jaipur, Rajasthan. 1. Here two scenario can be there. Investor holding shares in physical form or demat form. 2. In certain investment in Shares there in physical form then just mention the name of the shares and name of the shareholder whose name the share certificate is there. 3. In case all the investment is there in demat form then mention the name of the broker. For example name of the broker is ICICI director Motilal Oswal or Angel broking etc. 1. Please mention the name of the mutual fund unit / AMC you purchased. 2. For example ICICI prudential, HDFC mutual fund etc. 2. One can just mention the name of the company where the investment is there. It is suggesting to mention the DP detail if the investment is being help in electronic mode. 2. It is suggestive to just mention the name of the borrower and terms of engagement. While this is absolutely your discretion. 2. For example any fixed deposit of any company, Any investment in any scheme where you pay monthly investment amount for buying any assets such as Tata Tanishq scheme of buying gold.. Which type of additional services is provided by Share Samadhan?